« Mother’s Day Special: The Top 6 Psycho Mom’s! 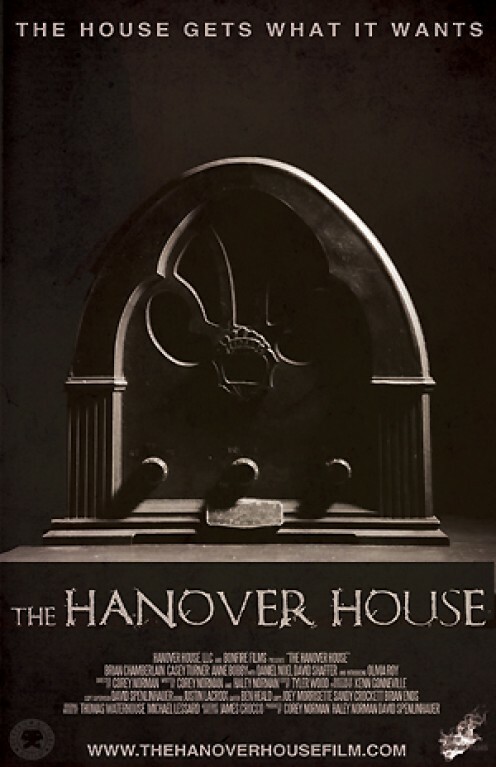 ‘The House That’s always been waiting for you!’ A Review of The Hanover House (2013). The Hanover House (2013) is the debut feature film from Bonfire Films and director, editor and co-writer, Corey Norman. Since 2009, Norman and his independent production company have produced several genre shorts of a high standard including the recent, Natal (2013). Now with The Hanover House; the team can demonstrate their talents with an extended run-time compared to their previous work. A disturbing, psychological and supernatural horror/ thriller, The Hanover House is focused on the grief process and how a man must come to terms with the death of his father while placed in an extraordinary situation. Robert Foster (Brian Chamberlain) is recently married with a baby on the way. Following the devastating news of his father’s death, he and his wife Shannon (Casey Turner) return to Hanover to attend the funeral. Following a difficult encounter with his estranged mother Martha (Anne Bobby) and her lover Fred (David Shaffer), who is also Robert’s uncle, Robert and Shannon set off home. During the car journey they are involved in a freak accident which sees Robert run down a young girl. In a desperate search for help, the couple are separated and Robert stumbles on an old, gothic house which unbeknown to him has always been waiting for him. Corey and Haley Norman, the writers of the film deliver a strong script to accommodate the suspenseful and enigmatic plot. Shot on a haunted location in Maine, where Bonfire Films are based, The Hanover House is a genuinely creepy ghost story that works on several levels. It deals with family conflict and painful memories that can be evoked through grief which creates high drama. Tonally it is very interesting as the majority of the first act comes across as a social realist film but it soon descends into the paranormal and unknown, from then on plenty of surreal moments are captured. Echoing classic haunted house films such as The Amityville Horror (1979) in terms of its aesthetics, and taking inspiration from Maine’s most famous genre author Stephen King with references to The Shining (1980), The Hanover House delivers some genuine, thought-provoking scares. The performances from Brian Chamberlain as Robert and Casey Turner as Shannon make powerful viewing as they deal with their individual demons within the house and leave the audience wondering if they’ll overcome them. Flashbacks are used to bring in more depth to the characterizations while eliminating exposition, keeping the blend of supernatural and drama consistent. Corey Norman’s editing techniques are one of the most impressive factors within the film. With fast paced cuts consisting of disturbing imagery in place to ramp up the tension during the more frightening sequences. Shot during a blizzard, the wintery setting works in the films favor capturing the coldness of Robert’s character and the darkness surrounding his past. 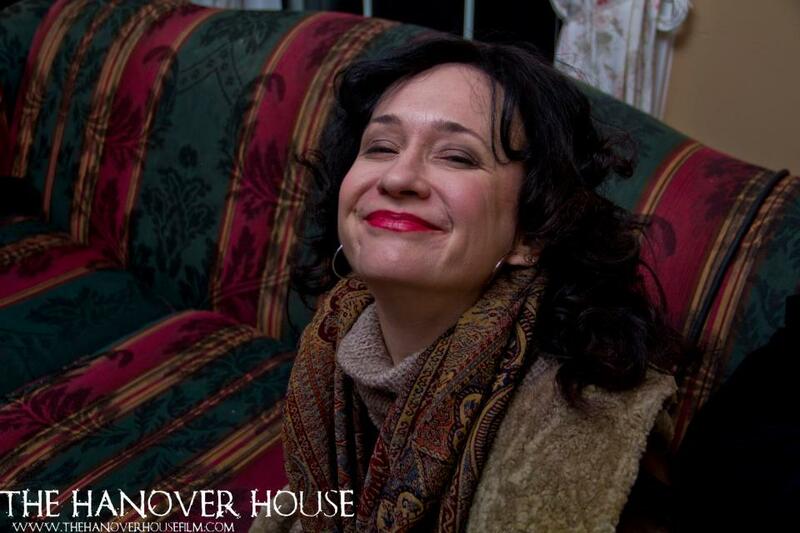 One of the most significant aspects of The Hanover House is that it marks Anne Bobby’s return to the horror genre. Known for her role as Lori in Night Breed (1990) which recently received restoration treatment and has circulated several film festivals all over the world, her character in The Hanover House, Martha is a far cry from what horror enthusiasts have previously seen her in, demonstrating her versatility as an actress. Martha is Robert’s self-indulgent mother, whom he has had a difficult relationship with. She is the film’s loose cannon and representative of Robert’s unhappy childhood, providing a sense of complexity and impacting on his relationship with Shannon. The farmhouse used as the film’s main setting allegedly holds a few real spooks of its own. The crew reported seeing the figure of an old man lurking around as well as shadow people. This certainly would have created an atmosphere on set and incorporates a lot more unease when viewing the film. The effects provided by set designer Eric Matheson are of a high quality. They complement the slow-burning pace of the film and come in at unexpected moments, heightening the suspenseful nature of what’s on the screen as well as the creepy style of the house itself. Beginning subtly, the special effects build up gradually becoming more impressive as they go on. There’s even some gory elements in place which is done satisfyingly without going overboard, in order to leave the viewer with an uncomfortable queasiness as the film goes into extremely dark territory. With the makings of a classic haunted house flick with added emotional depth, The Hanover House will pull you in and keep you in its clutches from beginning till end. The Hanover House will be receiving its world premiere on May 9th at the Dead at the Drive-In Horror Festival 2014. If you’re around the Saco drive-in in Portland between the 9th and 10th of May I highly recommend attending the screening. For my interview with Corey Norman regarding the behind-the-scenes of The Hanover House, click here. This entry was posted on April 4, 2014 at 4:01 pm and is filed under Horror Festivals with tags Amytiville Horror, Anne Bobby, Bonfire Films, Brinan Chamberlain, Casey Turner, Corey Norman, Dead at the Drive In Film Festivel, Haley Norman, Haunted House, Independent Film, Maine, Paranormal, Saco Drive-in, Stephen King, Supernatural, The Hanover House, World Premiere. You can follow any responses to this entry through the RSS 2.0 feed. You can leave a response, or trackback from your own site. That’s interesting. The film is awesome. I do love ghost stories, I imagine if they do exist in real life that they’re not as menacing as portrayed in the movies.